LANSING August 3, 2016– The Michigan AFL-CIO issued the following statement today on the results of Tuesday’s primary election. Ninety-eight percent of the candidates who were endorsed by the Michigan AFL-CIO won their primary races. 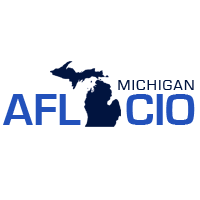 “No one should ever underestimate the power of Michigan’s working men and women to make their voices heard at the ballot box,” said Ron Bieber, President of the Michigan AFL-CIO. This entry was posted on August 3, 2016 by WMALC in Political news and tagged Democrats, elections, Henry Yanez, Hillary Clinton, Tom Cochran.